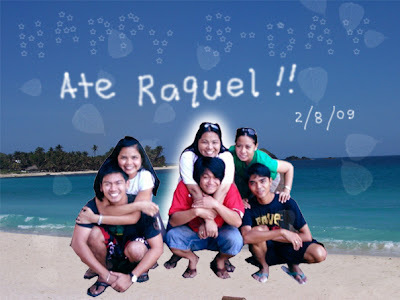 Tomorrow is ate Raquel's b-day and since I won't be here to greet her... I just posted this picture of our fellowship group taken during our Ilocos trip. Te Raqs ... may you have more blessed birthday to come. your life, a better husband and wife relationship and of course... a baby! THANKS CARMEL!! I'LL SEE YOU IN MACAU!